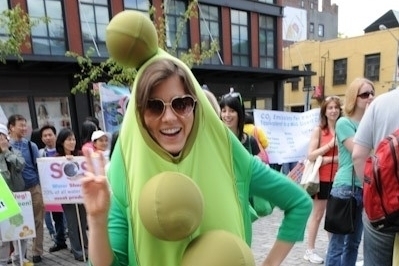 The Veggie Pride Parade is the perfect event to show off your creativity and share your vegan message to the world. There will be a "Most Creative Signage" contest immediately following the costume contest at 2 p.m. in Union Square Park. At 11 a.m. will all line up at approximately 40 Gansevoort Street in the old meatpacking district. Wear your most outlandish and fun 'veggie pride' costumes and outfits. Bring your creative signs and banners. The bigger and more attention-grabbing, the better! It's a vegan party, and everyone is invited! At 2 p.m. on the main stage in Union Square Park (north end) there will be a costume contest followed by the first ever All-Vegan Comedy show, featuring vegan NYC comics. Prizes will be given to for various costumes. Be sure to check out this family friendly event. All are welcome! From 1 p.m. - 5 p.m. we will hear over 20 speakers share about the benefits of a vegan diet and lifestyle, challenges they have faced, raising vegan children, and political action for the animals, among the various topics. It will be interesting and thought provoking! 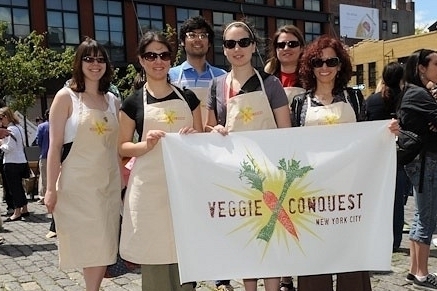 Come learn about new vegan products, hear about vegan networking opportunities in the city, and sample food from vegan restaurants during the festivities in Union Square Park from 1 p.m. - 5 p.m. 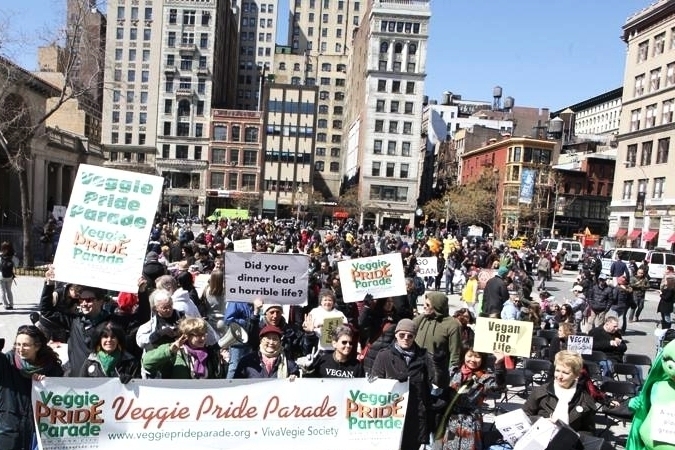 If you are interested in exhibiting, contact maggie@veggieprideparade.org. We encourage people to bring a group out for the fun! Dressing in a group theme or bringing signs and banners is recommended to make a 'splash'. Please share the word in your vegan communities and with other veg-curious people!